On Sunday 20th February, the Bohemian Centre Ardee was abuzz with musicians young and old as Ardee Concert Band hosted the Annual Ensemble Competition for the North East Region of the Irish Association of Brass & Concert Bands. 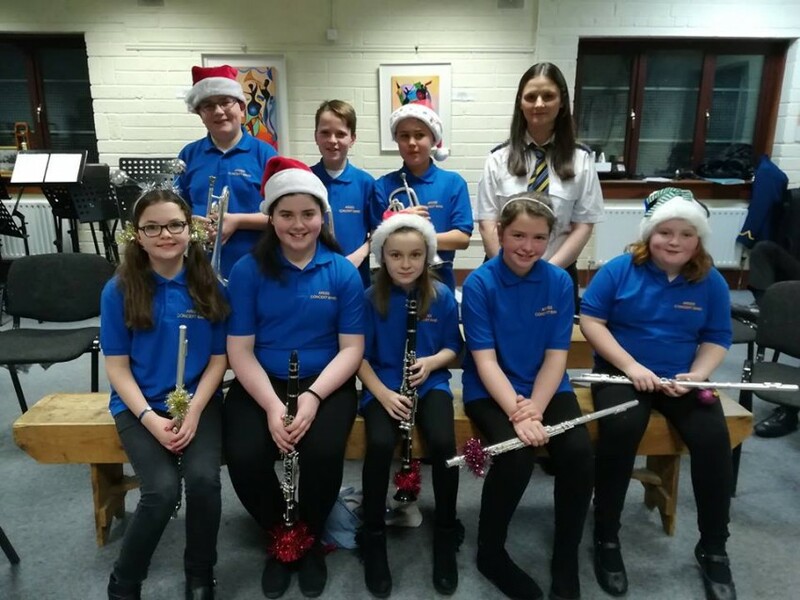 Eighteen ensembles comprising a total of 70 musicians took part from Navan Silver Band, Mullingar Town Band, St Mary’s Brass & Reed Band, Kingscourt, Drogheda Brass Band and Ardee Concert Band. The adjudicator for the day was John Bonner, a renowned teacher, adjudicator, conductor and musician from Arklow. There were three sections, Under 14, Under 18 and Open. Ardee Concert Band scooped all places other than first place in the Open Section, which was won by a tuba quartet from Drogheda Brass Band of Michael Plunket, Mark Nutley, Terry Heeney and Darren Walsh. Second place in this section went to a ten-piece group from Ardee of John Gaynor, Dermot Murray, Peter McKeever and Emma Leigh Meegan on Trumpet, Vincent McArdle and Fiona Reilly on French Horn, Oisin Clarke, Kevin Reilly and Andrew Coyle on Trombone and James Walsh on Tuba. Third prize went to a quintet from Ardee of John Gaynor, Dermot Murray, Vincent McArdle, Andrew Coyle and Kevin Reilly. In the Under 18 section there was a low entry so there was only first prize which was awarded to a flute duet from Ardee of Sarah Clare and Joseph Halpin. The star performer of the day was Cathal Flanagan from Ardee who took part in three different groups and was awarded 1st , 2nd and 3rd places for his efforts respectfully. First prize in the Under 14 Section went to Cathal and Emer Maguire and Brendan Leacy, 2nd prize went to Cathal and Ciara O’Callaghan and Niamh McCormack, and 3rd prize went to Cathal and Emer Maguire and Emer Brennan. Cathal comes from a long line of Flanagan clarinettists, which includes proud dad Terry and uncle, Tony, his tutor watching on. Ardee Concert Band had a busy week as yet again the bandroom was buzzing on Monday night 21st for their AGM. The meeting was well attended by members, interested parents, relatives and friends. Chairperson, Austin Nevin, thanked everyone who supported the band throughout 2010, the people of Ardee and surrounding area, the business people, and especially those who attend the Sunday night Bingo. He had a special word of thanks for band members Dermot Murray, Niall Doherty, Jenny McKeever and Fiona Reilly as they had formed a sub-committee to organise special events to celebrate the bands 150th year. Throughout 2010, they organised the band’s very successful trip to Prague, the Band Festival on 1st August and the celebratory dinner dance in Darver Castle. Austin also thanked all those who help at bingo, all the tutors and the outgoing committee. Austin was duly re-elected to his position as chairperson and indeed all the officers were re-elected to their positions, which are as follows Dermot Murray Secretary, Peter McKeever Treasurer and Jen McKeever Vice Chairperson. The 2010 committee also stayed in situ with 4 new members, Loraine Walsh, Sheila Mathews, James Gargan and Mark McLoughlin. The band already have a busy schedule with St Patrick’s Day Mass for deceased members, St Patrick’s Day Parade, church gate collection, and the National Band Championships in The Helix on Saturday, April 9th where both the senior and youth bands hope to compete. On Saturday night last, Ardee Concert Band celebrated their 150th year in style. The venue was the fabulous Darver Castle where the management and staff expertly put up a meal that was second to none. It was a night to remember for present and past members, their families, friends and supporters. Those attending were treated to a photographic trip down memory lane, which travelled right up to the present day. This powerpoint production lasting an hour and a half was continuously running in the back round for those interested in watching. This slide show was masterfully produced and executed by band members John Gaynor and Peter McKeever. Band Chairman Austin Nevin praised the organising committee members, Dermot Murray, Jen McKeever, Niall Doherty and Fiona Reilly, not just for the dinner dance but all their efforts over the celebratory year especially the trip to Prague. Austin welcomed everyone as “one big happy band family”. On behalf of the organising committee Dermot Murray Hon Sec complemented the management and staff of Darver Castle and thanked everyone for coming. The Glen Miller Legacy headed up by band member Nicky Callan provided the Music for the night. “All in all it was a fitting and wonderful end to an important year for the band” says Fiona Reilly PRO. 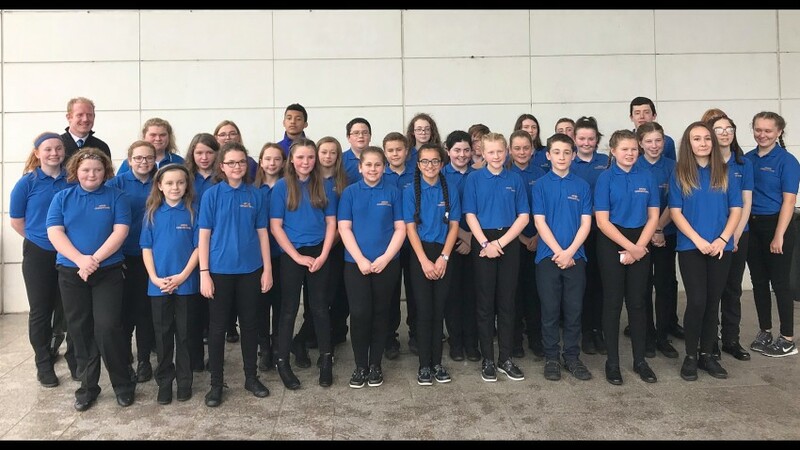 On Sunday last 30th January, many band members performed in the Irish Association of Brass and Concert Bands North East Region Solo Competitions. Ardee Concert Band hosted these in the Bohemian Centre Ardee. This was a busy afternoon of music with competitors ranging in age from nine years up to adulthood. The adjudicator for the day was Brian Daly from Dublin. Brian is conductor of Steadfast Brass Band and is the administrator and musical director of the performance course in the Liberties College Dublin. He is also a freelance French player with the National Symphony Orchestra, RTE Concert Orchestra and Opera theatre Company. The three local bands were well represented and it was a great afternoon of music. There were four sections, under twelve, under fifteen, under eighteen and open section. Brian complemented all the participants and the bands for encouraging their members and commented on the high standard. Kevin Reilly, representing the North Eastern Branch of the Irish Association of Brass and Concert Bands expressed thanks to Brian Daly and praised all involved, in particular, the committee and members of Ardee Concert Band for hosting the competitions. The winners were as follows.